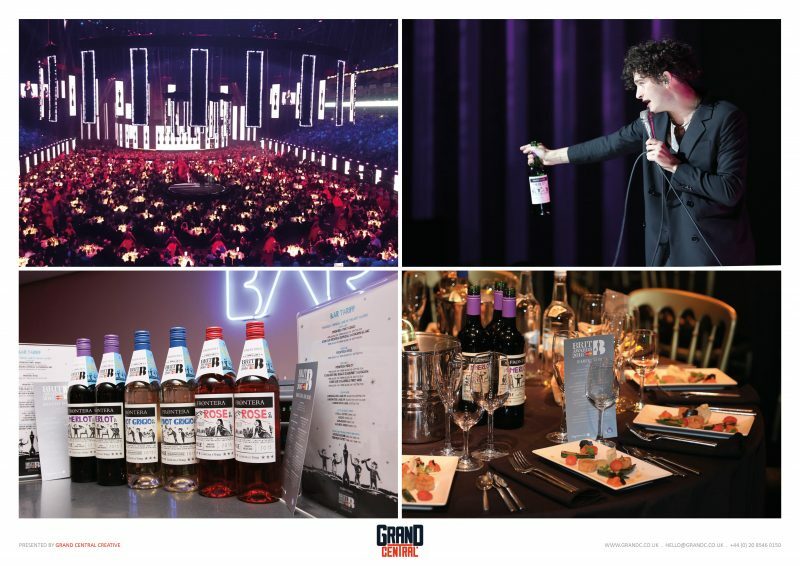 Very pleased to announce Grand Central Creative won gold at The UK Sponsorship Awards last night in the first-time category for Frontera, Official Wine of the BRIT Awards. We beat some serious competition from McLaren-Honda F1, Dacia, Colgate and DFS. In 2015 Grand Central Creative were briefed to find a ‘hook’ that would attract target shoppers into the category and provide a platform for activation that would talk to them on their terms. Competitors within this category market their products with a largely female bias so there was also an opportunity to find a way to talk to both men and women. We profiled a sample of Frontera shoppers and identified music as a platform and within that, The BRIT Awards, as being one of the most iconic music properties to resonate with them – premium, aspirational and 100% positive recall. In 2016 the BRIT Awards attracted a peak audience of 6.6 million and 42% of the Total UK 18-34 year olds [Source: Overnights.tv Report]. 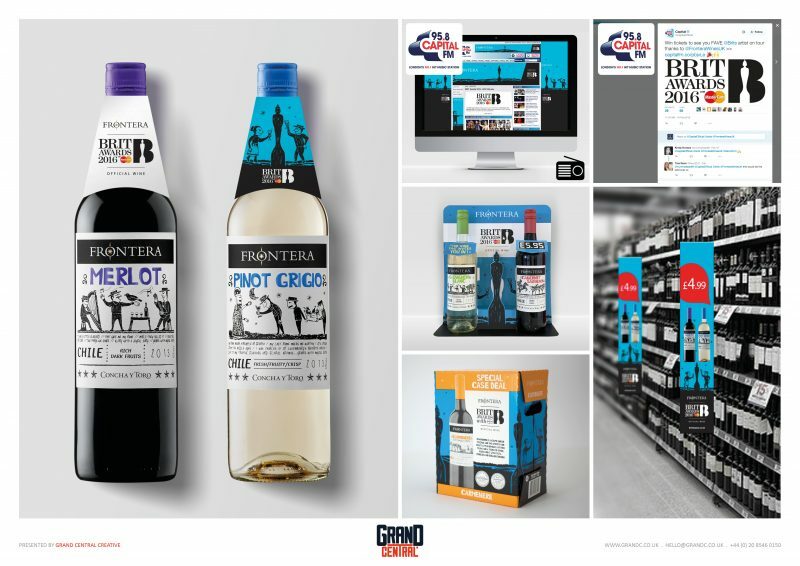 In 2015 Grand Central Creative negotiated a unique right package for Frontera to become The Official Wine of The BRIT Awards. 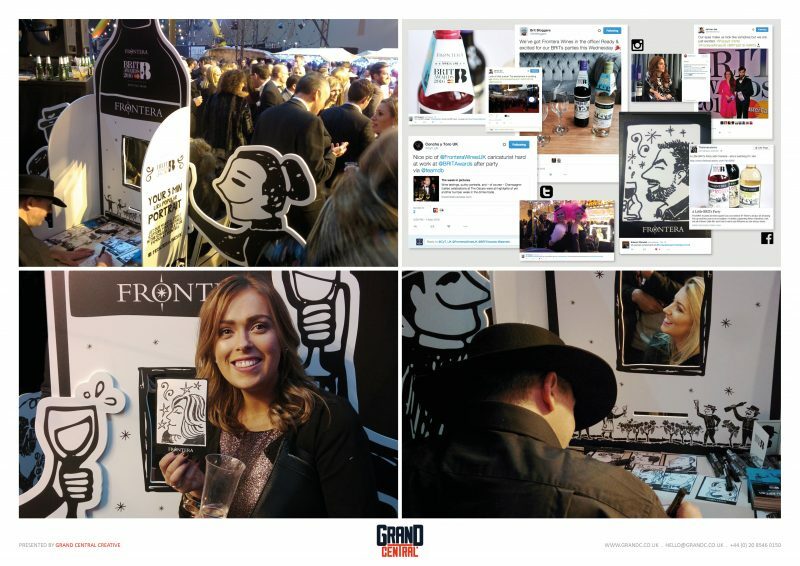 In sponsoring The BRIT Awards, Frontera had a mission to create a marketing hook that would engage key retail accounts, lead to new and increased listings, build brand awareness amongst its target audience and ultimately, drive sales throughout 2016.